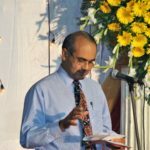 Chitra also attended ICC (International Christian College) in Glasgow, where studying theology, he and Tony Sargent struck up a fruitful relationship. Acts have been able to encourage and assist this young Nepalese pastor, especially after the great earthquake disaster of April 2015, by encouraging him and his fellow countrymen in helping to rebuild such a devastated nation following the great quake. Thank you to those who respond to such disasters so generously. Over four decades ago in l971, a young couple, Vijayan and Premila Pavamani, placed an advert in The Statesman, their local newspaper, inviting people in distress to either telephone them, or come to their home in the teaming metropolis of Kolkata. 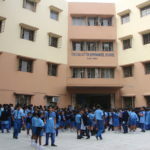 From their experience of helping distress ed people, Vijayan and Premila founded The Arunoday Midway Home in 1978, the first residential rehabilitation centre for recovering addicts and alcoholics in India, and the Calcutta Emmanuel School – a free school for the poorest children who could not even dream of an education. Emanuel Ministries Calcutta was founded in 1985 as an umbrella organization to host projects that fight poverty and social injustice. Across the city of Kolkata (Calcutta), Emanuel Ministries spreads its wings, drawing in the poorest and most vulnerable, with Christian love and care, raising people’s hope and giving them a future. This is a wonderful partnership with Acts, who together have helped many people and projects, and encouraged the development and ethos of such loving care. Do come on board and help us as we raise funds for drug & alcohol addict rehabilitation, street and railway children, care and education, prostitute rescue projects, education for the poor, and micro credits, which help to either get people started in business projects, or out of crippling debt. This is truly an amazing ministry, based just around the corner from Mother Teresa’s headquarters, and staffed with such long term dedicated people, committed to serving the poor in one of the world’s most needy cities. Dehradun in northern India is situated in the foothills of the Himalayas, Margaret is the sister of Stephen Alfred, and Sam and Margaret are mostly funded by the Bethany trust hospital in Mumbai. Sam is a very talented, popular and gregarious pastor, and excels in encouraging young people. They oversee a number of ministries in their area, such as the Nijaat drug and alcohol centre, currently the largest NGO run facility in North India. 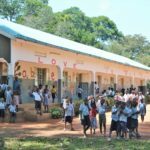 As well as being the pastor of a local church, Sam with Margaret run a church-based school, teaching young children and looking after a large youth group attached to the church. In spreading the Gospel around this area of Northern India, they love more than anything for people to visit and encourage their ministry and work, how can you help! Access to world class healthcare is critical. But equally important is t he kind of care a patient receives. At Bethany Trust Hospital in Thane, Mumbai, medical care is not a business, but a call to serve. “A call to serve you and your loved ones with compassion”. Dr. Stephen Alfred MS. (Bom. ), FRCS (Edin. ), FRCS (Glasg.) and personal friend of Tony Sargent, heads up the hospital, is managing trustee, and offers affordable modern health care to vulnerable people in this large city, regardless of their financial or social status. Part of their mission is to make healthcare accessible, and so consciously routes part of the hospital’s revenue to areas in India where it is not. Also, to engage with and partner, through education and rehabilitation, in the eradication of drug abuse, alcoholism and AIDS, and to offer care to the elderly at their point of need. This is a 125-bed multi-speciality hospital facility, that combines compassion with the finest in diagnostic and therapeutic technology. Acts is proud to have encouraged such a proactive ministry which spreads far and wide around the city of Mumbai, and even further afield into the foothills of the Himalayas in Dehradun. Stephen’s call back home to India is a very compelling story. Working as a cancer surgeon in Scotland for many years and having earned a very comfortable and respectable position, he was challenged by his Christian faith to return to India to serve his fellow countrymen, and pioneered a much smaller facility, “Lok Hospital”, in Mumbai. Lok Hospital has been retained, and operates as a specialist AIDS unit providing Christian care to such vulnerable people in their greatest need. Acts are keen to encourage such excellence and service, and you can explore the hospital further. 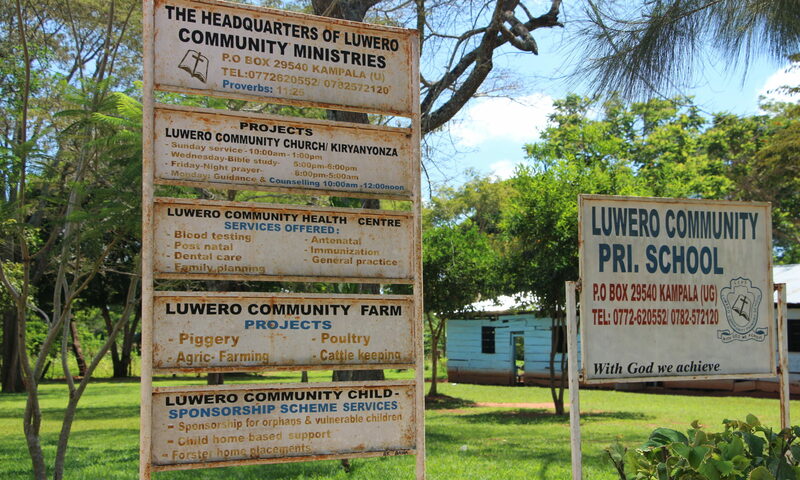 Do consider helping Stephen and his team in bringing health care to such a needy people. Depending on whose statistics you care to read, India is often referred to as a wealthy country. Certainly, it is developing rapidly, and undeniably it is home to many wealthy companies and individuals, but sadly that wealth rarely trickles down to the poor and underprivileged. 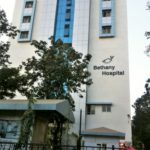 Bethany Hospital is a fine example of reaching the poor and destitute with health care that takes a holistic approach. Gabriel Kijjambu attained his theology degree at ICC in Glasgow, and when he graduated, had a vision of returning to his country Uganda, buying land, and building a school, medical centre and a church. The only problem being, he was pretty well penniless, but through prayer and faith, and the assistance of partnering charities like Acts, he raised finances to buy the land he needed. Tony and Cath Swanson are long-term missionaries based at Morogoro in Tanzania. 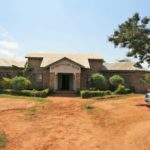 Tony has been heavily involved in the teaching of pastors and in developing a multiuse site at Sanga Sanga, home of the institute of Bible and Ministry this comprising a large conference centre including accommodation, for training and teaching pastors from across East Africa. Part of the development is a camping site, and applying his agricultural skills, Tony is using the land to grow food for use on the site. 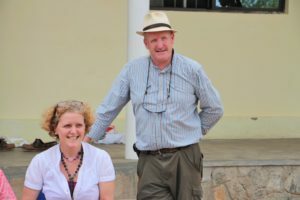 Tony and Cath are constantly re-educating themselves, and Tony having recently changed direction in AIM, has taken on a new role of mobilising the whole of the African church into mission. Cath meanwhile is busy with child safety and protection work across the world, as well as organising children at the Sanga Sanga site. 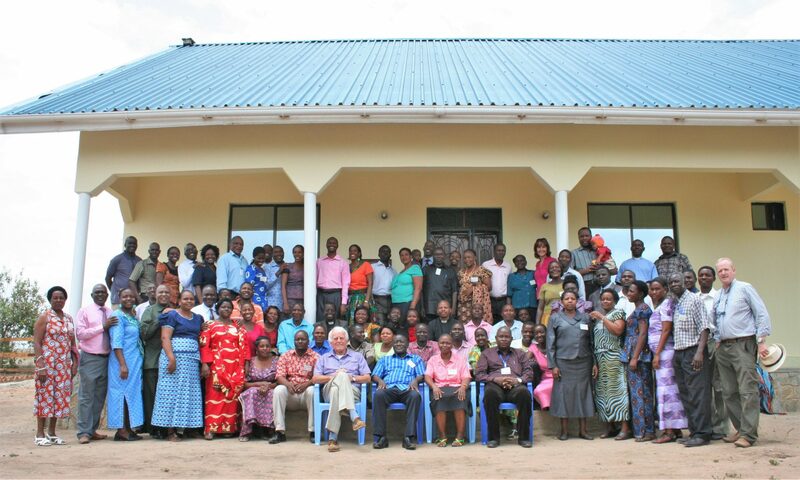 Acts have assisted in the development of the Sanga Sanga site, as this facilitates the teaching of pastors within Tanzania and the whole of the East African area. During his previous role in Acts, Tony Sargent has taught and encouraged many pastors and teachers at this conference centre over the years. Through AIM’s presiding bishop Dr Silas Yego, we have been able to assist in the recent Central African famine, which has affected the northern part of Kenya badly in the district of Turkana. You can see in the photos, food being distributed to drought victims, and refugees from the civil war in Southern Sudan. 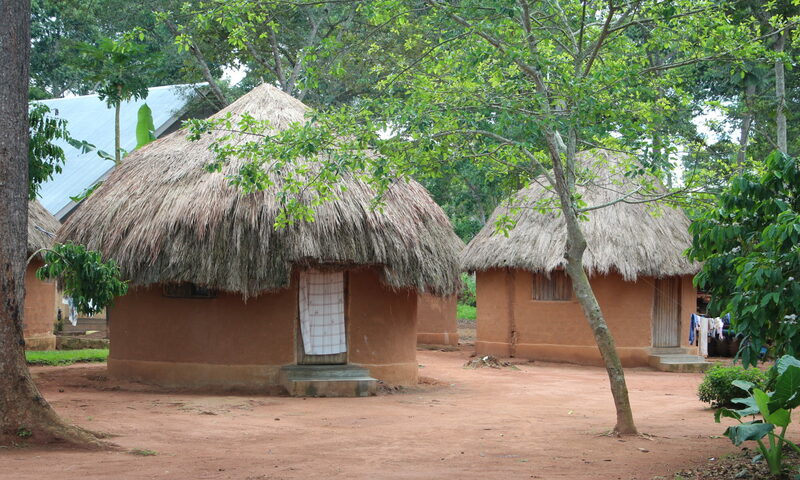 Parts of Africa desperately require our help, and we can assist in getting finance to where it is needed, please help.